The Ilkley Osteopathic Practice was established in 2001. The practice partners are Amos Grech-Cini, Robbie Grech-Cini and Louise Judd. Their focus was to create a centre for professional excellence and superior care where patients come first and foremost. This philosophy has helped the practice grow from strength to strength, becoming an integral part of the Wharfedale Community. It’s here that we solidified our reputation, developed over many years, for providing the highest quality of Osteopathic care. Joined by Chris Field as an associate in October 2016, Charlotte Bruce in August 2017 and Zoe French in 2018 our practice continues to grow. At our dedicated healthcare practice, we treat a comprehensive range of musculoskeletal conditions including spinal complaints, headaches, arthritic conditions and sporting injuries with a focus on detecting, diagnosing and treating the cause of symptoms. We take pride in our contribution to the healthcare of the Wharfe Valley, treating a wide range of people from a few weeks old to patients into their nineties. Upon arrival, you will receive excellent care from our warm, knowledgeable staff in modern, comfortable surroundings. We provide a friendly and professional environment making sure patients feel welcome and at home. BSc(Hons) Ost Med. D.O. N.D.
Amos graduated in 1995 from the British College of Osteopathic Medicine in London. He then returned home to Yorkshire and established the Ilkley Osteopathic Practice with his wife, Robbie in 2001. With over 23 years of experience Amos gives lectures in technique to colleagues and students and has set up a mentoring program. Amos treats a wide range of musculoskeletal conditions across all age groups and passion for osteopathy is evident. He is a keen cyclist. Robbie (Roberta) came to the UK from Zimbabwe to study Osteopathy at the British College of Osteopathic Medicine. 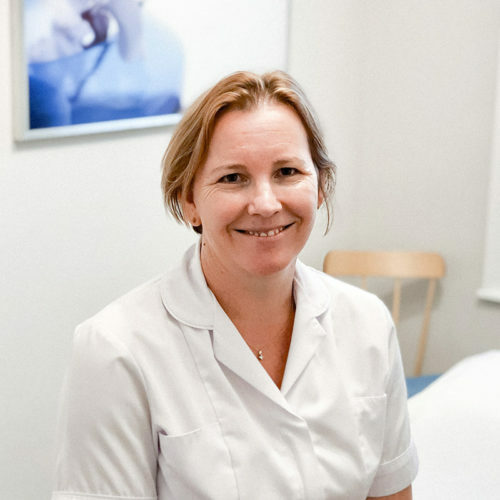 She set up the Ilkley Osteopathic Practice with her husband Amos in 2001. She chose Osteopathy as a career because she had been exposed to it from a young age, and had successful treatment for a sporting injury. Robbie has now been in practice for over 20 years and enjoys her job everyday. She loves sharing all that osteopathy can offer her patients - helping them to feel healthy, flexible and reducing their pain. Robbie enjoys treating all different complaints across the age groups. She has completed a post graduate course in Cranial Osteopathy. Over the last 10 years she has attended several courses at the London School of Osteopathy for the treatment of babies, toddlers, and the postpartum mother. Louise grew up in Hong-Kong and Greece, and came to England in 1995 to study Osteopathy for four years at the British School of Osteopathy. Graduating in 1999 she moved to West Yorkshire, during which time she gained valuable experience treating a wide cross section of patients in two busy, multi disciplinary practices. In 2004, after a period of travelling, she joined Robbie and Amos as a partner at The Ilkley Osteopathic Practice. 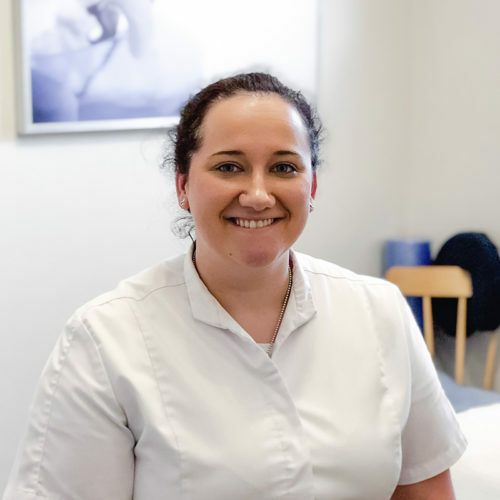 Louise’s own interest in sport led her to look further into a career in Osteopathy, which would encompass working with the human body, but with a holistic and preventative treatment approach, thus enabling the patient to take control of their own body and therefore maintain good health. Louise feels as passionately today about what Osteopathy can do to help people, as ever before. 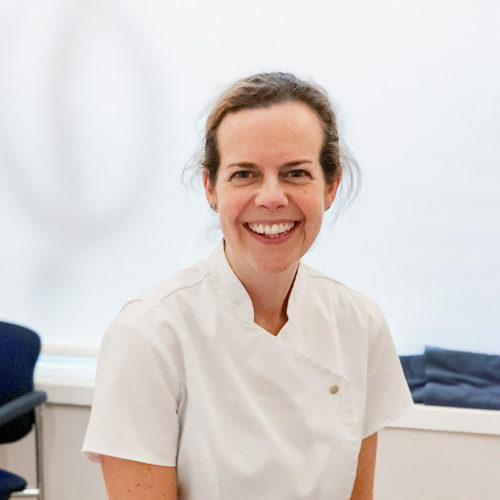 With all patients Louise combines classical osteopathy with advice on exercise, and nutrition to restore well-being and balance. Being a busy mother herself, Louise has an interest in pre and postnatal care. In any spare time, she enjoys Pilates as it brings a balance to her swimming and running. Chris graduated from Leeds Beckett University and joined the Ilkley Osteopathic Practice in 2016. 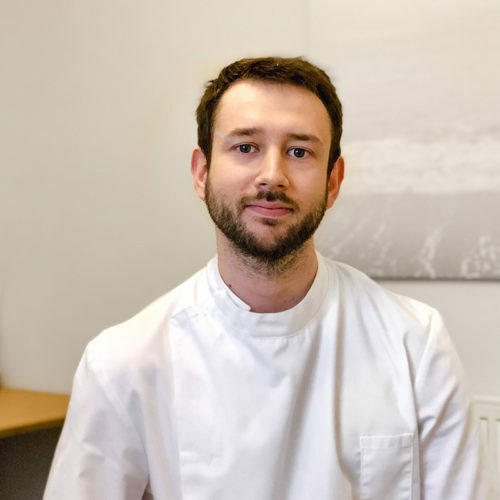 He has been exposed to osteopathy from an early age (his father and godmother are both osteopaths), Chris has a comprehensive understanding of the benefits that osteopathic treatment can have on the body as a whole. His clinical experiences include working with elderly patients, teenagers, and expectant mothers. He has also treated a wide range of sports injuries and performance-related musculoskeletal problems. As a recreational sports person, Chris has an understanding of the impact that musculoskeletal dysfunction and pain can have on the individual and their performance within their sport. Also having suffered a knee injury in his teens he understand the impact of an injury and what is required with rest, rehabilitation and treatment to recover. Chris focuses upon a range of osteopathic techniques, working in collaboration with the patient to create the most effective and individually-tailored management plan, including short, medium and long-term goals. Charlotte graduated from Leeds Beckett University and joined the Ilkley Osteopathic practice in 2017. Her interest and passion for osteopathy came from an fascination in human anatomy and the desire to improve an individual quality of life. She likes to work with her patients to empower them to improve their own health. She is interested in all aspects of osteopathy and can treat a wide range of patients to include, sports injuries, teenagers and the elderly. In her own time Charlotte enjoys playing her instruments (voice, clarinet, saxophone), travelling and running. Zoë became interested in osteopathy after sustaining an injury whilst in professional training at the English National Ballet School. She then trained and graduated from the British School of Osteopathy (now University College of Osteopathy) in 2014. Prior to joining Ilkley Osteopathic Practice she was living and practising in a successful clinic in New Zealand. She enjoys treating a wide range of patients and problems. 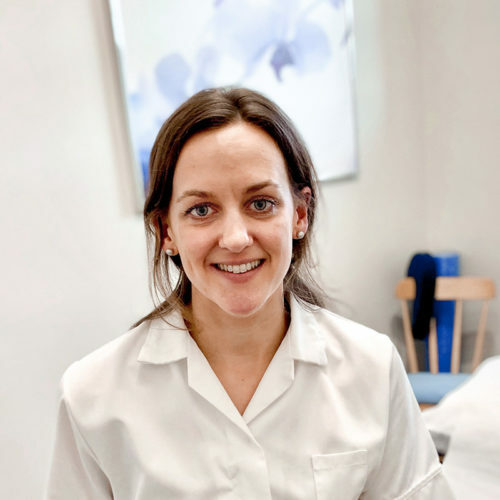 Her specific interests are treating patients during and after pregnancy and she has worked closely with obstetricians to provide musculoskeletal care throughout this time. She also specialises in sports and dance related injuries and teaches Pilates. Zoë has been doing Pilates herself since the age of 13 initially to help support her training as a ballet dancer. During a period of injury she discovered that Pilates helped maintain her strength and accelerated her rehab process. After leaving ballet behind she trained as an Osteopath. Whilst working as an Osteopath Zoë realised that Pilates could benefit many of her patients and she trained as a teacher with Polestar Pilates New Zealand. Zoë offers one to one Pilates sessions to complement patients' osteopathic care and help them achieve specific goals. She works closely with the other practitioners to ensure a tailored approach to recovery. Zoë has also completed the APPI pre and postnatal Pilates course. Jon comes from a sports orientated background studying Recreational Supervision and working at Kelsey Kerridge Sports Centre Cambridge. In more recent times, heavy manual work have resulted in injuries requiring osteopathic and sports massage treatment for pain and dysfunction. 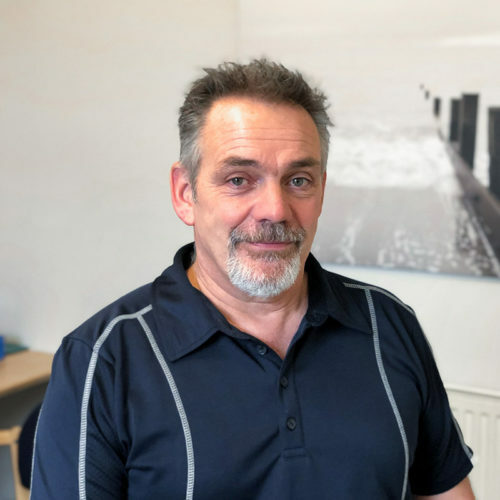 Through these treatments, Jon gained both knowledge and an interest in the working human body, subsequently qualifying as a sports massage therapist in 2011. He has gained experience treating athletes post Great North Run, Harrogate Rugby Club and Baildon Trinity Athletic football club. 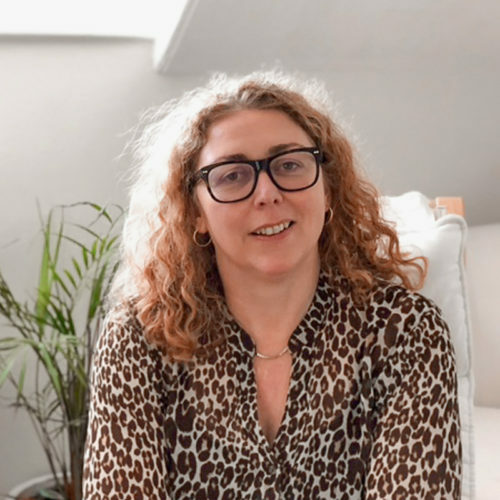 Naomi is a BABCP accredited Cognitive Behavioural Therapist with particular interest in compassion focused therapy and mindfulness approaches. She is trained in EMDR (eye movement desensitization and reprocessing) and is currently in the process of applying to be an accredited EMDR practitioner. With over 25 years experience working in the NHS she is also a registered mental health nurse. Clinical supervision, both in the receiving and provision to others, has been fundamental to her work. 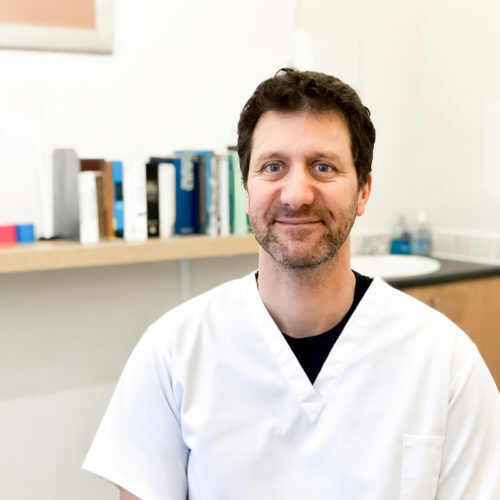 “I have been coming to the Ilkley Osteopathic Practice for 2 years now, and every time I come, I am met with the kind and welcoming staff and a very warm and friendly atmosphere. “I have been a patient of Amos for many years. He has treated various stiff areas giving me much relief and freedom of movement, especially for my neck.